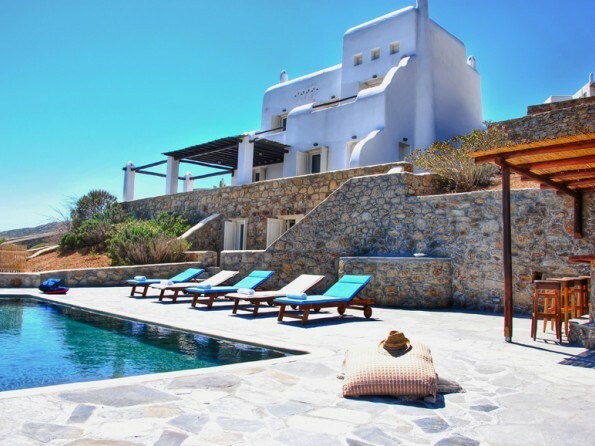 This beautiful villa for 12 on the island of Mykonos is near to the golden sands of Agios Sostis beach, famous for its turquoise waters. 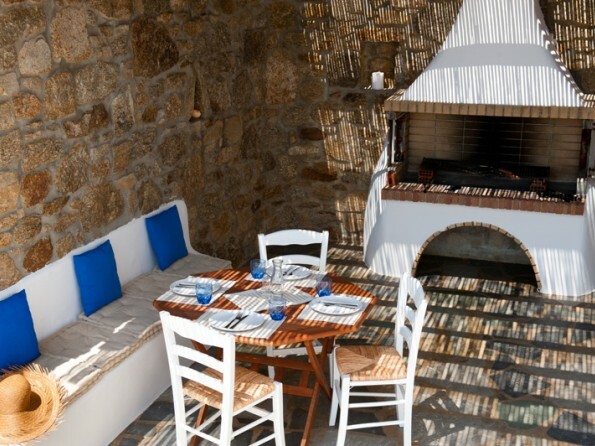 It has wonderful views over the Aegean sea and the surrounding landscapes, and is less than 10 minutes from Mykonos town. 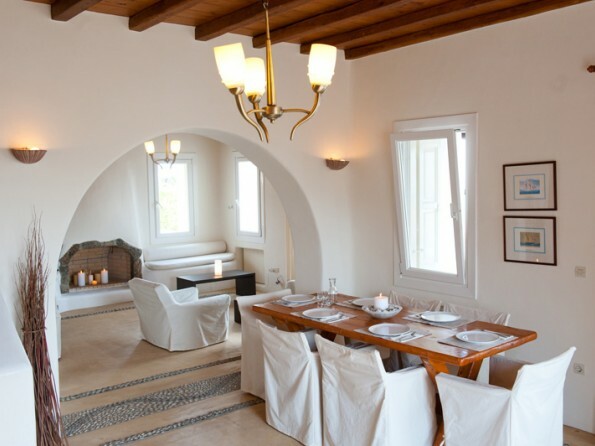 Villa Kappas is exquisitely styled; its smooth edged architecture gives a pure look to the building, whilst the interior is stylish and spacious. The bamboo pergola is a relaxing place to enjoy cold drinks and aperitifs prepared from the outside pool bar. 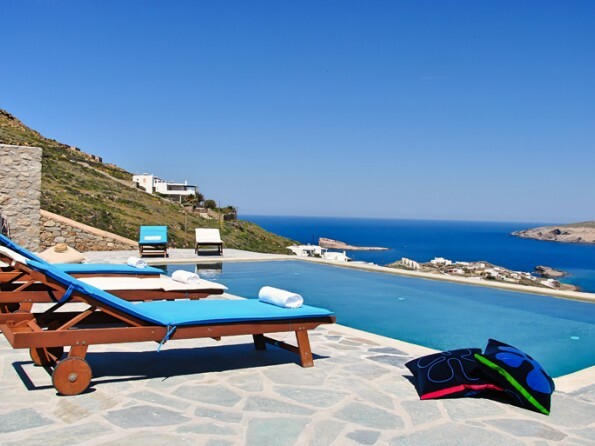 The villa has its own private pool with infinite view to the sea and along the stunning northern coastline of Mykonos island. 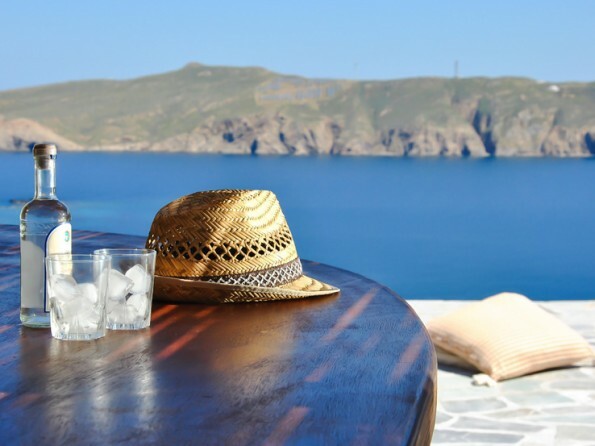 If you’re a fan of Mediterranean cuisine, you can eat at traditional Greek restaurants on either Agios Sostis beach or Panormos beach, while listening to local DJs. Panormas beach has a whole host of activities on offer including sea kayaking, beach volleyball and trampolining; or just relax on one of the beach hammocks for the day! The island of Delos is a 45 minute boat ride from Mykonos and is one of the most important archaeological sites in Greece as it’s the birthplace of the Greek gods Apollo and Artemis. 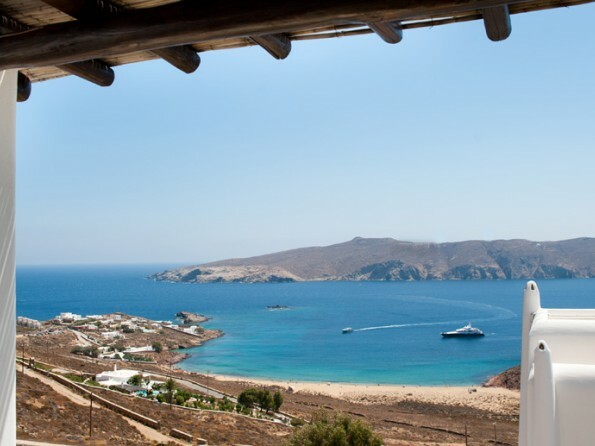 It’s also possible to book a place on a traditional Greek ship and have a day of sailing along the south coast of Mykonos, swimming and snorkelling in the crystal clear waters of the Aegean sea. Also available are scuba diving courses, windsurfing and kitesurfing, jeep safaris or even a private helicopter tour. Mykonos airport is 8km away. We can arrange a transfer or a hire car on request. 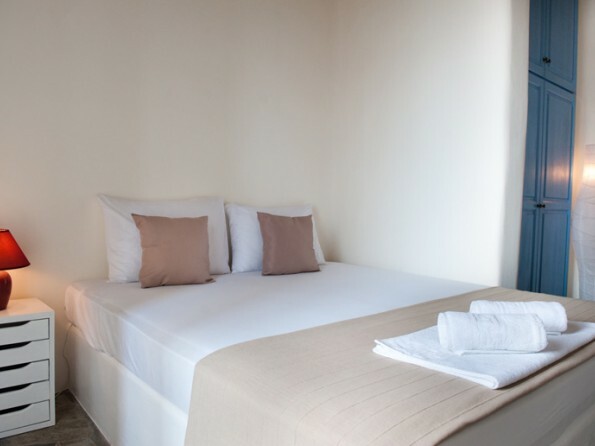 The villa has seven bedrooms and five bathrooms, and can sleep up to 14 people in total with the option of a couple more extra beds for children. The villa is made up of three levels. The middle level is home to the master bedroom (en suite) as well as the large kitchen diner, and a comfortable sitting room. 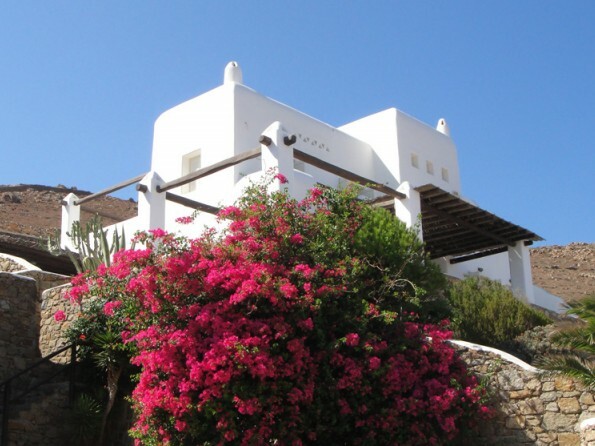 At the top of the villa are three further bedrooms (two doubles and one twin), all of which have wonderful sea views. 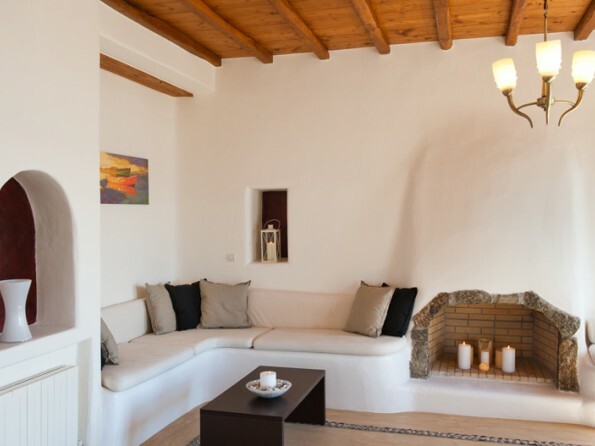 The lower level of the villa has a separate entrance and includes a double bedroom, sitting room (including additional single bed), small kitchen and bathroom. 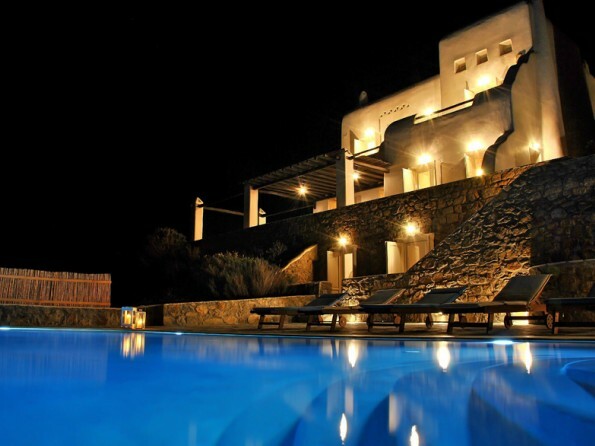 The swimming pool is in front of the villa and has its own pool bar and sunbeds. At the back of the villa there is parking space for up to 10 cars. 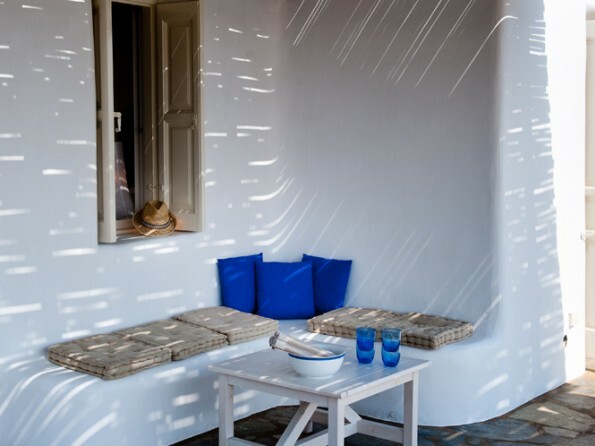 If you’d like to treat yourself, then we can organise a personal chef, who can cook mouth watering Greek and international cuisine on your veranda. We can also organise for a private driver / chauffeur if you want to explore the island further, or help you rent a car or a bike so you can explore the island independently. A popular destination for weddings and celebrations, you are welcome to book the villa for your wedding or celebration dinner and party - it can seat up to 90 guests. 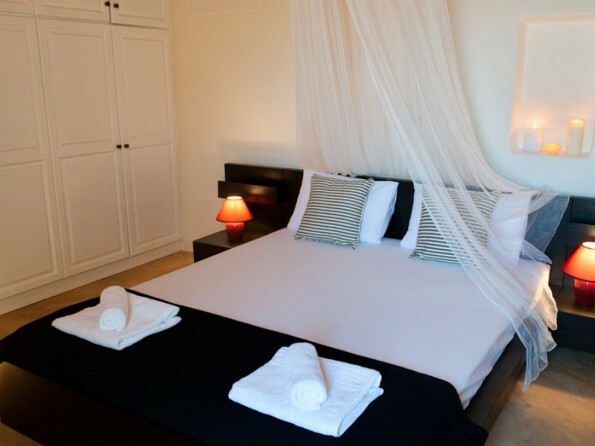 We can organise for masseurs and beauty therapists to come to the villa. Deposit payable on booking. Terms and conditions sent on enquiry.